4. In the next step add your Kustomer URL, (e.g. 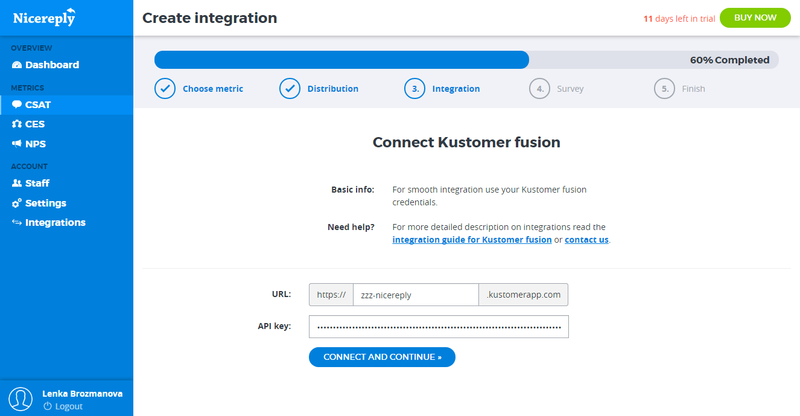 acme.kustomerapp.com) and your API key. 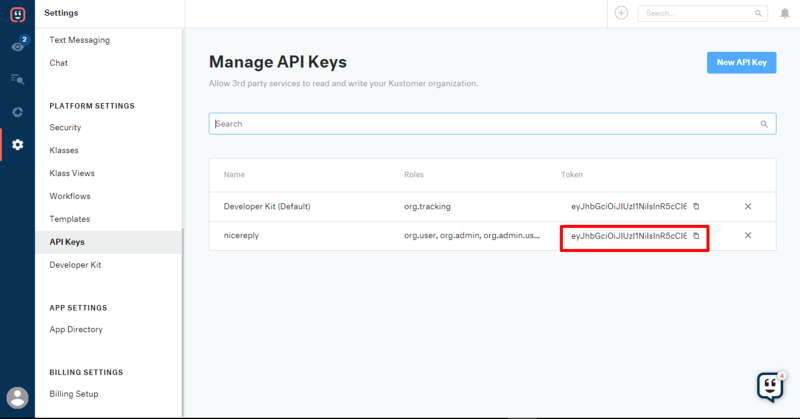 To get your API key go to Settings > API keys > New API key. You need to create new API key and add roles: org.admin.read, org.admin.write, org.user.read, org.user.write. Make sure to set expiration date to "No Expiration"! 5. 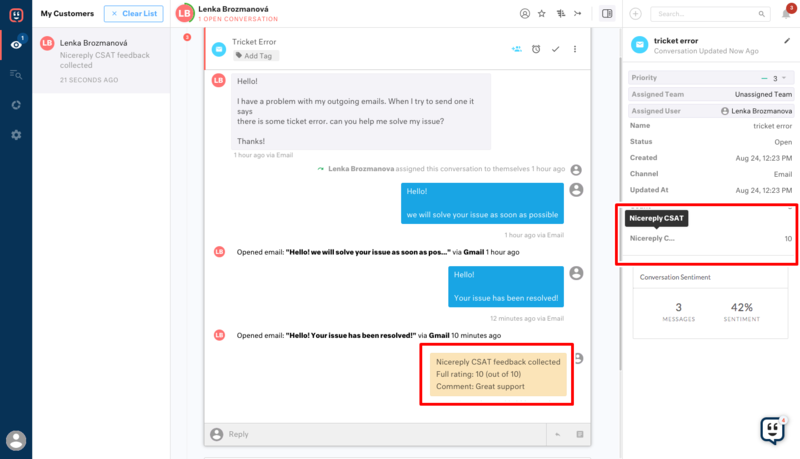 Add your user from Kustomer to Nicereply. New users will get an automated email with login instructions from us. 6. You're on the good way! 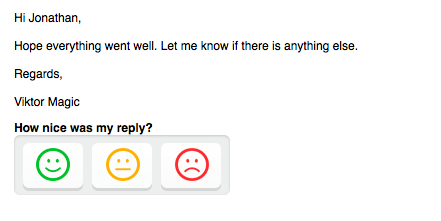 To collect customer feedback, you need to place CSAT (smiley faces) into your Kustomer email templates. 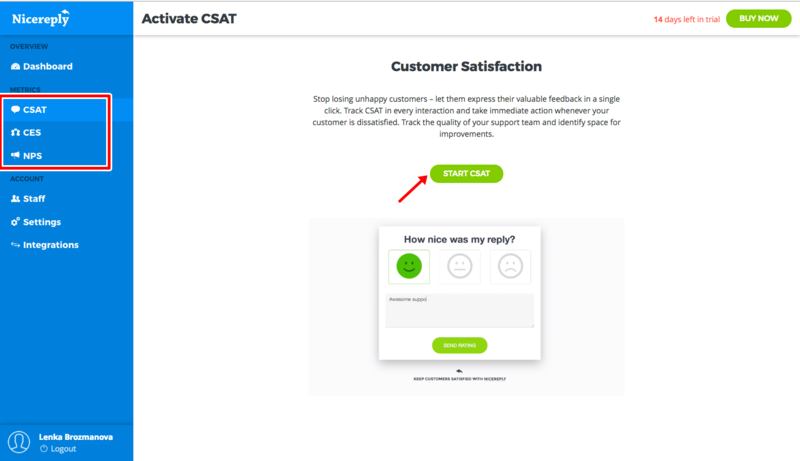 Now copy code for CSAT (smiley faces). 7. Now go to your Kustomer account > Settings > Platform settings > Templates > Add new template. 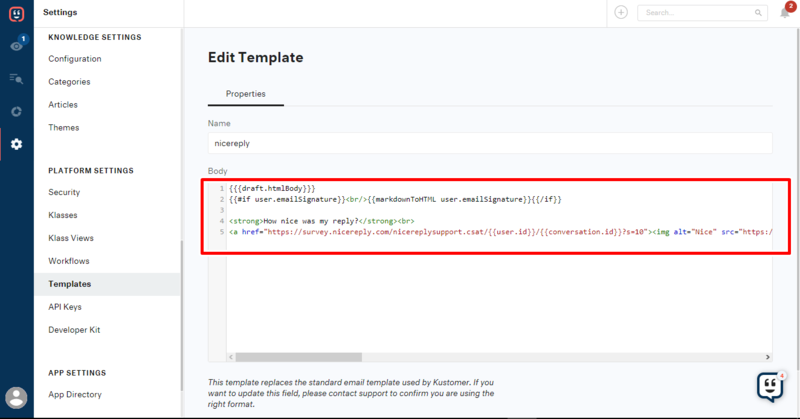 Select name for your new template, delete the predefined code and paste code for CSAT (smiley faces). Then click Save. Don´t forget to go to your Nicereply account and click “FINISH SETUP”. And are pushed into your Kustomer ticket.